Do I Need Collision or Comprehensive Auto Insurance in Alberta? Or Both? - Lanes Insurance Inc.
Do I Need Collision or Comprehensive Auto Insurance in Alberta? Or Both? There are three major components to auto insurance in Alberta: liability coverage, comprehensive coverage and collision coverage. 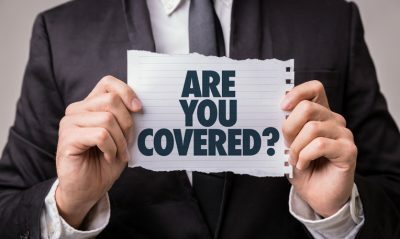 In Alberta, it is mandatory that each vehicle owner be covered for at least $200,000 in Third Party Liability and Accident Benefits (the vast majority carry $1,000,000 or more), medical payments ($50,000 per person), disability income (80 percent of lost wages), funeral expense benefits ($5,000), and death benefits (minimum $10,000). The other two components – comprehensive and collision insurance – are accident insurance options and may be purchased individually, together, or not at all. The difference between them is often hard to determine, especially because they are usually spoken about together. It can also be hard to know when you need one, the other, or both. The trained insurance brokers at Lane’s are always happy to go through all the options with you and thoroughly explain the options. Brokers have the advantage when searching for the perfect auto insurance coverage in Alberta. We work for you, not the insurance companies, and are able to compare and contrast the policies from a number of Canada’s top providers in order to find you the most inclusive auto insurance coverage at the lowest rate. Since comprehensive literally means “complete,” it’s understandable that many think that it includes everything. Comprehensive coverage provides for repairs for damage caused to your vehicle by perils other than collision or upset. Vandalism, flood, hail, theft, windshield damage and fire are all examples of events usually covered by comprehensive automobile insurance. Like collision, comprehensive will pay up to the fair market value of your car (less your insurance deductible). Comprehensive coverage may also include coverage for windshield repairs, which is why some may refer to it as “glass coverage.” Since your windshield is an important part of the overall integrity and strength of your vehicle, it is a very good idea to keep it in top repair at all times. Although it’s not legally required by any province, it’s a smart idea to purchase comprehensive insurance – especially if your car is financed or leased – and it is usually relatively inexpensive. Collision insurance pays for damage caused to your vehicle in an automobile accident, such as contact with another car, a rollover, or a collision with a building or inanimate object. Additional examples of incidences in which you may use collision insurance coverage are hitting a pothole or a curb, reversing into another car and when a driver other than you causes damage. One popular option for your auto insurance in Alberta is accident forgiveness coverage, which allows for a one-time exemption from premium increases due to an at-fault collision. We’re all human, and an auto accident is a virtual guarantee for drivers. We encourage you to operate your vehicle with caution at all times, as safe driving habits are your best bet at avoiding collisions or keeping the damage or injuries at a minimum. Collisions are scary, and the shock can make it difficult to remember exactly what to do. Keep this handy guide nearby so you can properly take care of yourself, others that may be involved, and your insurance coverage. Remember, in Alberta you must report any accident that results in damage of more than $2,000 to your vehicle. When your auto insurance renewal time comes up, be sure to contact us so we can discuss your options. If you are considering switching providers, we will help you shop around for the best fit for you, and will also make sure we explore all of the auto insurance discounts you may be eligible for. We won’t make you fill out any complicated online forms. Just give us a call at our Calgary, Edmonton, Banff and our provincial offices (with no obligation) and we can get started talking. PreviousPrevious post:Errors and Omissions Insurance: What is it For?NextNext post:What Exactly is an Insurance Deductible?